Are Online Nursing Degrees as Good as Traditional Nursing Degrees? When considering a nursing career, aspiring nursing candidates want to know if online nursing degrees are on par with traditional ones. After all, employers and potential patients desire healthcare professionals with the right credentials from accredited, cutting-edge nursing programs that qualify them for the important healthcare decisions they will make every day. From data gathered by the U.S. Department of Education over the past 30 years, indicators point towards no qualitative differences between the rigor or scope of distance learning coursework versus that of traditional programs. In other words, just as with traditional college nursing degrees, the quality of online nursing programs depends on the accreditation of the institution, expertise of the instructors and state-of-the-art content found in coursework. Transnational Association of Christian Colleges and Schools, Accreditation Commission. Prospective nursing candidates can check for these credentials by visiting the school’s website or searching the U.S. Department of Education’s database for accredited post-secondary institutions. Instructional quality is another consideration for any type of post-secondary education. For online nursing programs, instructors are held to the same high standards as their classroom counterparts to teach accredited program materials through distance learning formats. Online instructors must hold the appropriate degree credentials, possess required certifications in their field, and have several years of professional experience. Many work part-time as adjunct faculty members, providing instruction and supervisory internship opportunities for students while continuing to work full-time in their own professional nursing careers. With state-of-the-art technology, online nursing programs can deliver high quality education with flexible, format options for completing degree work at the associate’s, bachelor’s, master’s and doctoral levels. The rigor of these programs is comparable to that of traditional classroom experiences. It encompasses trending issues in modern healthcare, extensive use of written communication, video presentations of lectures and demonstrations, interactive cohort discussions, webinar participation, and online submission of practice exercises and assignments. Furthermore, potential degree candidates are able to continue in their current careers while pursuing advanced education to gain credentials and specializations within the field. Online nursing education upholds the same accreditation standards and quality of instruction as expected from traditional classroom programs. Candidates are able to acquire degrees at all levels and specialize their area of focus to advance their nursing careers. 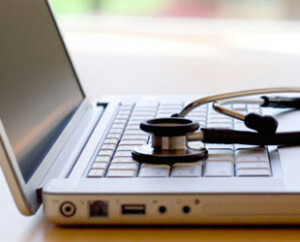 Unique benefits of online nursing studies include bringing contemporary issues to the forefront of study through cutting-edge technology and taking advantage of flexible formats to accommodate professional work schedules. Whether desiring to become a nurse for the first time or seeking professional advancement, aspiring nurses can feel confident knowing that online nursing degrees from accredited schools are on par with traditional nursing degrees.